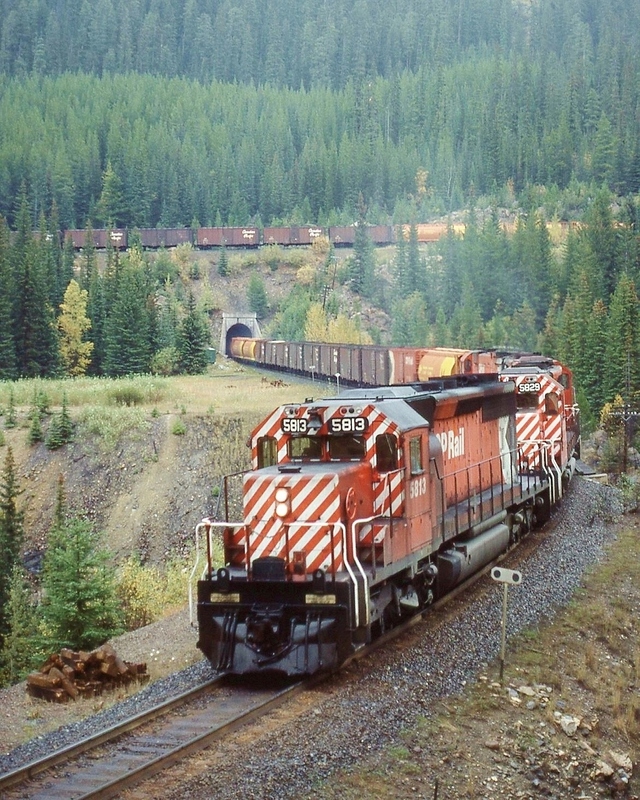 Westbound grain train is descending Kicking Horse Pass, rolling toward Field, British Columbia. At the time the train was part covered hoppers and part grain service box cars. Photographed by Ken Patton, September, 1976.